We use PayPal to process our credit card payments. You do not need not need to have PayPal account. PayPal is the world's most popular online payment system utilising the very latest in secure technology. With PayPal you can shop online without the retailer (that’s us) knowing any of your credit card details. This has the benefit of providing separation between your personal details and your credit card details. While PayPal is a massive global company many Kiwis are unfamiliar with it. So that you can make a more informed decision, we have provided a link to the PayPal page on Wikipedia. Many people in New Zealand are unfamiliar with PayPal, so we want to show how easy the process is. 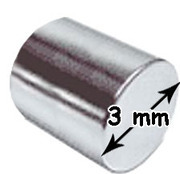 Once you confirm your order on Magnetic Magnets you will be transferred to PayPal to make pay payment. The page will show as ‘Connecting To PayPal’ for about a second. The default PayPal page takes you to the PayPal account sign in, which is slightly annoying. 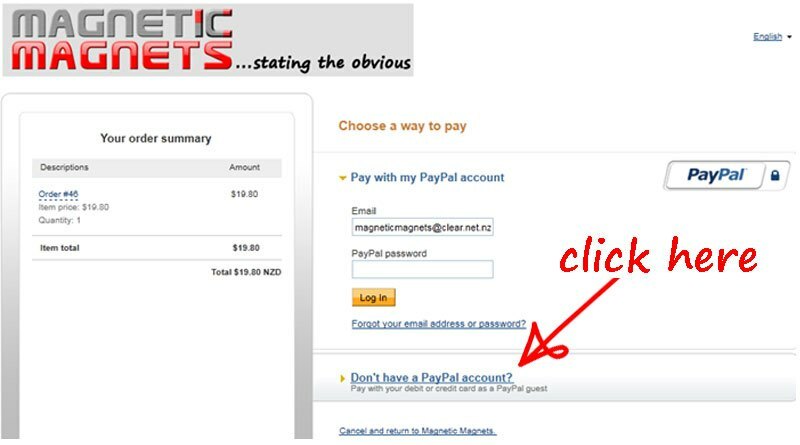 However, to pay by credit card, just click ’Don’t have a PayPal account’ as shown below. Fill in the credit card details and click 'Review and Continue. Then you just need to confirm your order. 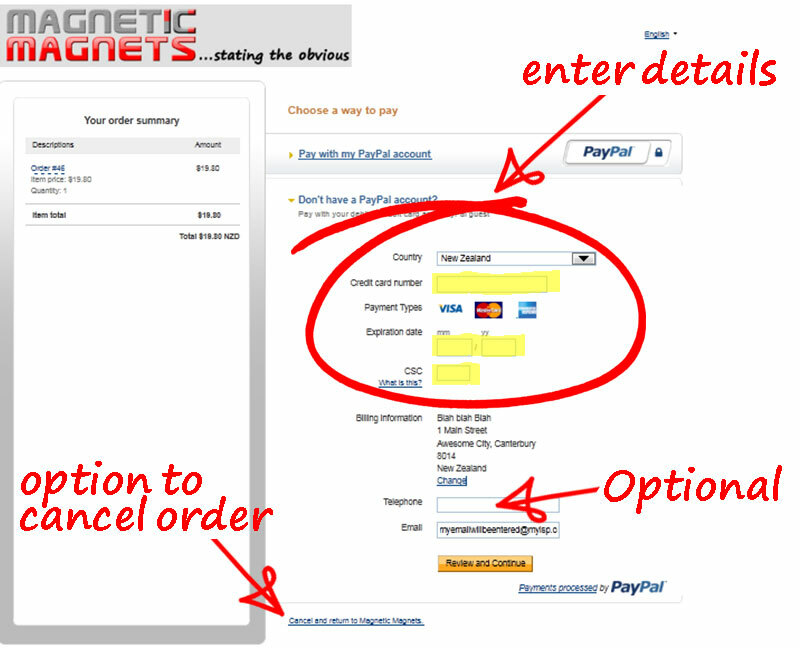 If you want to cancel your order, you can simply click the link ‘cancel and return to Magnetic Magnets’, and your order will be cancelled.